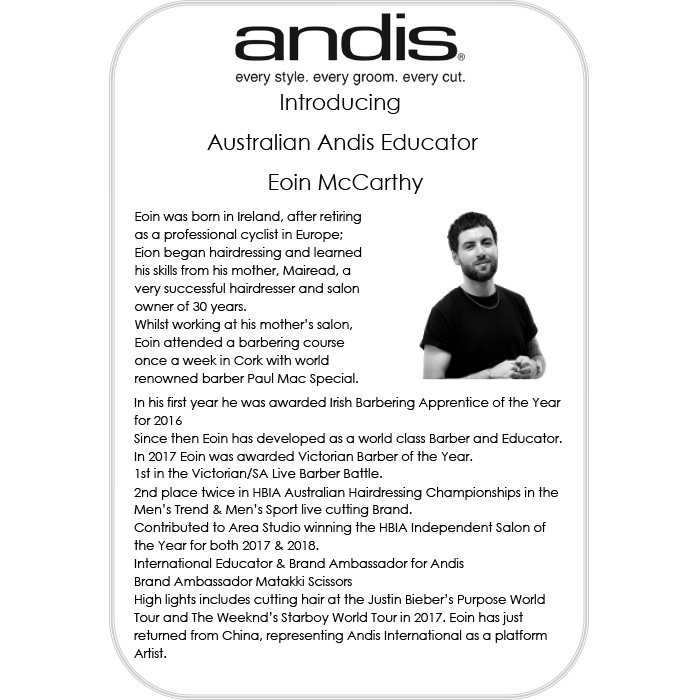 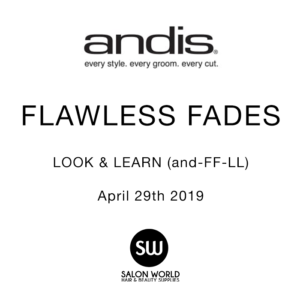 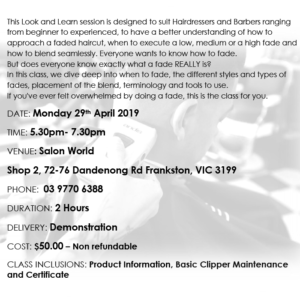 This Look and Learn session is designed to suit Hairdressers and Barbers ranging from beginner to experienced, to have a better understanding of how to approach a faded haircut, when to execute a low, medium or a high fade and how to blend seamlessly. 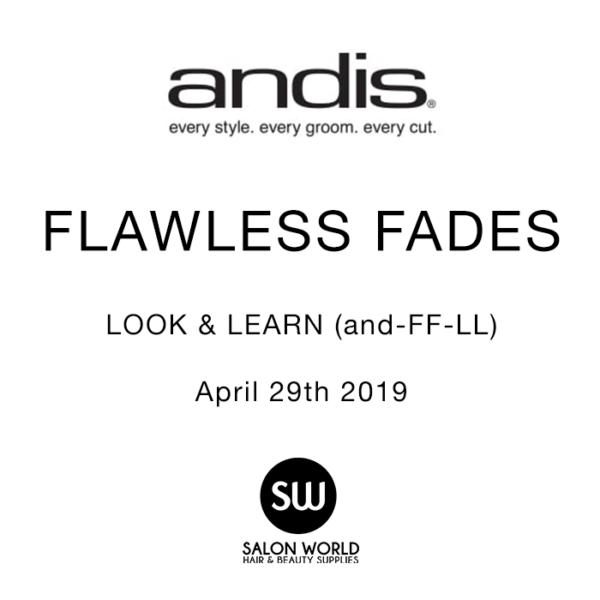 Everyone wants to know how to fade. 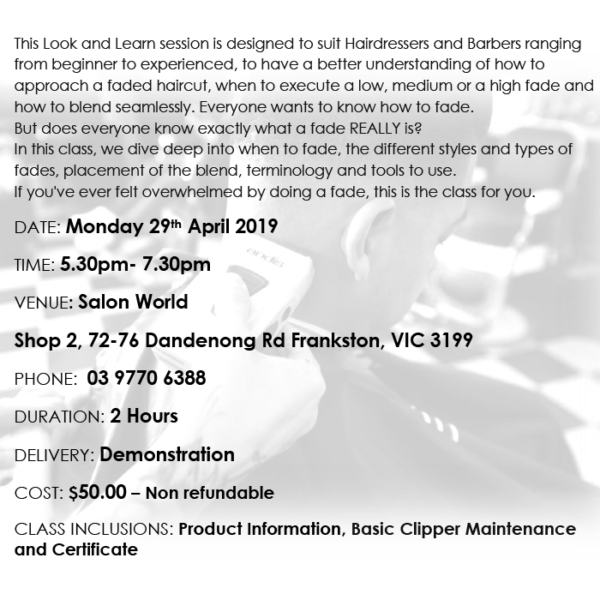 But does everyone know exactly what a fade REALLY is? 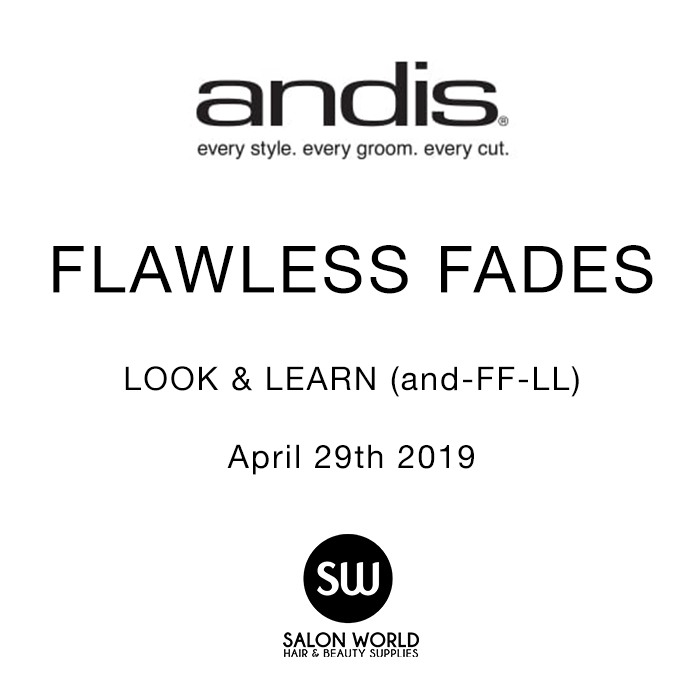 In this class, we dive deep into when to fade, the different styles and types of fades, placement of the blend, terminology and tools to use. If you’ve ever felt overwhelmed by doing a fade, this is the class for you.